The Urban Patch began in 2011 and operates out of New York City and Indianapolis. 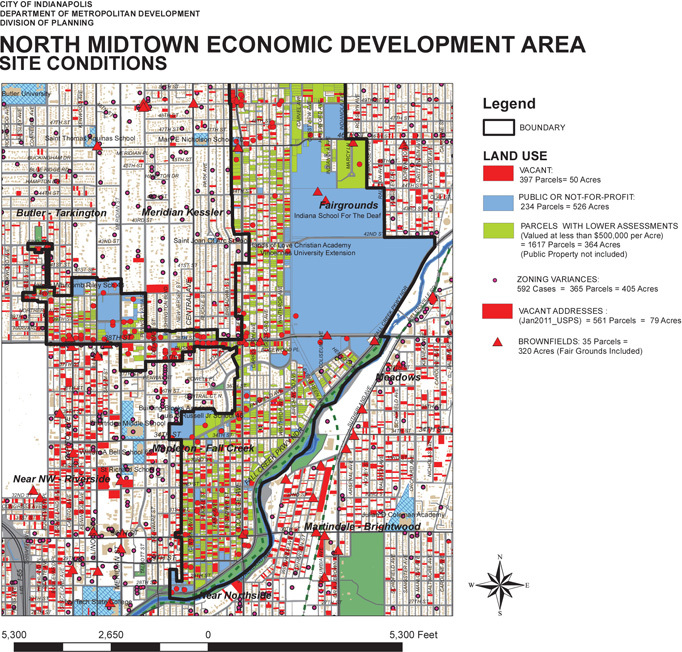 Our primary work is in the “North Midtown” neighborhoods that are at the core of the Indianapolis metropolitan region, and will look to work in other similar contexts in the future. As communities like these move forward and revitalize, we believe it is important that they do so with a careful balance of economic, social and environmental considerations. America’s inner cities have had years of disinvestment and neglect. This resulted in a high incidence of vacant property, depressed property values and foreclosures, and other issues. The map below shows the high concentration of vacancy and low assessment in the North Midtown neighborhoods in Indianapolis. It is illustrative of the scope and scale of the challenges that our cities face.